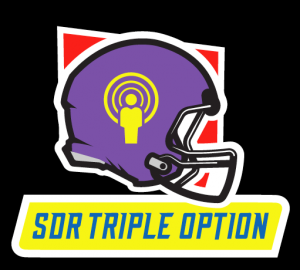 With Managing Editor Randy Cauthron, Advertising Rep T.J. Murphy, and Sports Editor Nate Shaughnessy behind the mics, the SDR Triple Option football podcast presents local voices previewing the football weekend ahead talking Spencer High School, Northwest Iowa prep, Iowa, Iowa State, college, the NFL, fantasy, and more! Tune in for new episodes each Thursday. The SDR Triple Option podcast is produced by the Spencer Daily Reporter. Hustle by Kevin MacLeod is licensed under a Creative Commons Attribution License.